Do you dream of driving a Mercedes-Benz GLA-Class one day? Autobytel.com has a wealth of automotive information online. Go on a Mercedes-Benz GLA-Class vehicle fact-finding quest for both new and used models. See specifications like power figures, fuel economy, and safety ratings. Find the invoice price on Mercedes-Benz GLA-Class vehicles. Go through the critiques from current owners before you buy a Mercedes-Benz GLA-Class . Or check out what industry car people have to say. Browse hundreds of brand new or preowned Mercedes-Benz GLA-Class automobiles. You can do this all online from the comfort of your own home at the Autobytel site. Search for automobiles by zip code to find those closest to your location. The vast majority of automobile shoppers start their quest on the internet. A purpose built website is the perfect starting point to study Mercedes-Benz GLA-Class vehicles. For every vehicle manufactured in the past decade there is plethora of detailed material. There is a broad variety of information on the Mercedes-Benz GLA-Class. This info ranges from a simple summary all the way to in-depth analysis. Find out the accessories that come with the vehicle. These accessories range from entertainment systems, to safety features, to aesthetic additions, and power adders just to name a few. There is a list of technical specifications that includes data on fuel economy, power output, weight, and the interior and exterior dimensions. Want to know how much additional equipment will change the price? If you are going to buy a Mercedes-Benz GLA-Class this info could be considered valuable. Autobytel has a great tool called the vehicle configurator that can help. Take a few minutes to compare Mercedes-Benz GLA-Class vehicles against the competition. Use the vehicle compare tool to see a couple of automobiles at the same time. An automobile with a good safety record should be at the top of your list. And Autobytel lists the safety ratings for every automobile. There are two important governing bodies that crash test cars: the IIHS and the NHTSA. A nice selection of pictures are available at the Autobytel website. See Mercedes-Benz GLA-Class vehicle images from various angles including front, rear, and side. This will most often be the first place you should go to see the vehicle from different angles. Would you buy a hideous looking vehicle? Hopefully not, and when you go to buy a Mercedes-Benz GLA-Class you will know exactly how the vehicle looks thanks to your proper online research. Be sure to peruse the criticism and analysis from current Mercedes-Benz GLA-Class auto owners. This is a great way to see the pros and cons of each vehicle as told by regular consumers. Besides plenty of information; you can get a list of current incentives on Mercedes-Benz GLA-Class vehicles. See rebates available from the factory, or special financing offers. 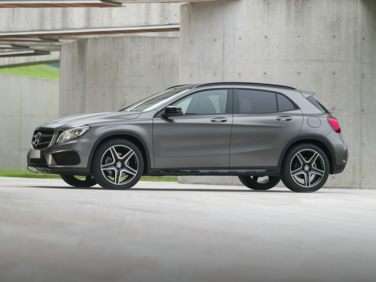 Finally see the available inventory of Mercedes-Benz GLA-Class automobiles for sale in your area. Do not buy a Mercedes-Benz GLA-Class until you have checked all the available automobiles for sale in your vicinity. Since there may be a better deal just down the road.